In 1998 I made 5.15 at my very first job at McDonalds. I was a little zitty faced 16 year old, and all I wanted was to have my own money. 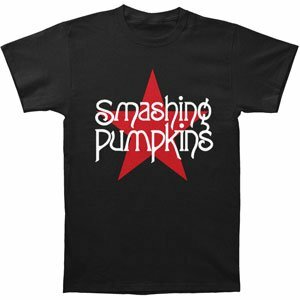 I had more than plenty to go to the movies and buy all the Smashing Pumpkins t-shirts my heart desired. Life was good! No worries, it was just a phase. 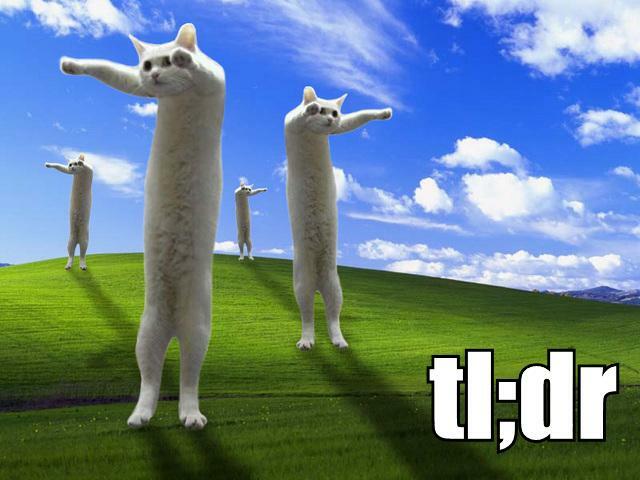 The landscape has changed a bit. Back in 1998, my co-workers were almost entirely classmates from my school. We all just wanted pocket money, we weren't trying to support a family or even ourselves. Now a days I see more and more food service and retail workers that are adults, and I am fortunate enough to live in a pretty prosperous are of the country. We've all heard the stories of the more economically disadvantaged areas - people who were earning upper middle class wages now must resort to delivering pizzas to keep a roof over their head. Due to these good jobs leaving - either being outsourced or more automated with robots and technology, the supply of labor in the market is very high. So the fast food workers want more money. I feel their pain. I remember the levels of rage and anger I would feel in my younger days when I knew for a fact the value I brought to an organization and how my pay was not matching up. You feel taken advantage of, and it stinks. For myself, and ideally, you use that anger to propel you into something better. Entry level jobs are meant to be just that. Entry. You have no skills, you are doing a job that requires little more than showing up with a smile on your face. So for that, I think $15 an hour is very generous. I am pretty sure unless that McDonald's is franchised by your family, you don't want to be serving big macs to the public for 10+ years. In a perfect word you work at McDonalds for a year or two, and if by then you aren't a shift manager/promoted in responsibilities, you take your customer service/cash handling/food prep skills and get a job upgrade. Those skills can transfer into another line of work, they have for probably millions of people. The higher the minimum wage is, the less incentive (no value judgment, just economic theory) people will have to seek out opportunities to better themselves. Keeping the minimum wage at an uncomfortable level lights a fire under you to look for that better opportunity, learn new skills or increase your education. As we have seen though, some people never advance. Maybe there just isn't enough room at the top to promote everyone? Maybe there is some sort of mental or social disabling problem that the person isn't gaining new skills or whatnot to go to the next level. Regardless of the problem, which is a whole different can of worms to open, the Earned Income Credit is available to low income people to boost their income (the non-retirees/teenagers). But when that comes in a lump sum once a year, I can't assume that even the most responsible person wouldn't use it to just splurge a bit and try to forget their impoverished reality for a little while. Another bandaid at the expense of the tax payer so we can have a dollar menu. Perfect world though. The problem with this idealized version of a person's career path is assuming we have a labor market demand for your skills. When the economy tanked in '08-'09 there were tons of people with great skills, just no one who needed them. Companies closed down or moved to other countries, and we were left with extra managers and HR people, and sales, manufacturing people who needed a job. When you send out 100 resumes and get 1 interview, your options are sparse. So you take a job at Wal-Mart or Wendy's because you need to do something. If anything, the unemployment problem is a structural one. We have jobs for the very high skilled or the no skilled. Where did the in-between go? Probably to China, I'll check on that. The upsetting thing is that McDonalds and Wal-Mart make obscene amounts of money. This is sort of the failings of capitalism, in that we will exploit any and all resources to make that stock price go up. People care less when you wreck the environment, or working conditions of people on the other side of the world, but now we have resorted to the very people you are watching bag your groceries. Though the consumer end of it is to blame too. We as consumers are ruthless in our quest to pay the least for things. The thing too, at least with McDonalds, is that the wage doesn't cut into their profits. McDonalds corporation is in the franchise business. They are selling their brand and leasing their properties to your neighbor Mr. Jones. Mr. Jones is the one in the hamburger selling business, not McD's Corp. So when you essentially double his payroll expenses, he doesn't get much of anything. While I don't think that capitalism is an ideal system, the business owner should certainly get a financial reward for the risk he takes on by investing his money into a business. You are only sort of stickin' it to the man with higher wages, and not even the man who necessarily deserves it. Then there is the whole union thing. I am definitely pro-union in the traditional sense. However I think unions for unskilled workers are stupid and a waste of time and money. For instance, if you are skilled in some regard - say a comedy writer, working in the steel industry, or even a professional athlete, you are not easily replaceable and you have a handful of companies (relatively) to be employed by. By unionizing, you are able to have some pull against the 10 TV networks, or 5 steel companies or 25 pro football teams that might try to ban together and drive down the amount they have to pay you. As a whole group, you are extremely powerful against your employer trying to do you wrong. Try writing your next episode of Modern Family or selling tickets to the sports game if you had to suddenly replace all of them with the best of what you could pull off the street in a week. Hello, rude awakening. This is why unions were made. But if the whole McDonald's staff wanted to walk out, they could have 20 new people in there working the fryer and taking your order in a matter of days. The union holds no clout because these people are very interchangeable. Aaron worked at Kroger for a whopping 7 days last year (customer service isn't his thing.) and they talked him into joining the union. I feel bad for Kroger employees because their union benefits are something that most everyone will never ever need to use (unless you intend to be a lifer) and at $6 per paycheck dues for a part timer that equates to $312 out of the $7540 you will make in a year or 4% of your already sad and small paycheck. Sure it gives you more 'job security' but do you really need or want it? I can name 100 places in a 3 block radius of that Kroger that you can have zero skills and make minimum wage. Plus, employers have built in incentives to not to be an a-hole to you as is. Hiring and training new people is expensive and you are the face of the company to your customers and they want you to be nice and helpful. The good side of the minimum wage getting bumped is that low income people spend their money! Which makes the economy grow for everyone, today. I could site half a million peer reviewed articles that show with science that trickle down economics does not work like the right wing wants to say it does. I mean, look now, the highest earning people have more ginormous stockpiles of money than ever before. That stuff is only trickling down to their heirs in the form of trust funds. Maybe the yacht maker might make an extra sale or two, or a new minimally paying job is created to get an extra maid to clean said yacht. You give an extra $100 to a low income person and they are going to (statistically) spend it the same month they get it. So the light bill gets paid on time, Kroger sells a few more items, Domino's sells another pizza, or Macy's sells and extra outfit. That $100 gets spread all over town immediately. So we want lower income people to be better off, but we don't want the population to aspire to be a Wal-Mart cashier. All in all while keeping the stock price going, and not increasing the prices customers have to pay. It seems like we just can't have it all the ways. As it goes now, Wal-Mart, McDonald's, etc. get a full days work out of someone then relies on the government programs to help feed them and provide affordable housing. That is just wrong, and disgusting in my opinion. I am so glad these programs are in place because no one in America should be employed and also have to dig through the trash to find something to eat while the stock holders and CEO's record record earnings. I mean, I get it that CEO's are incredible business people and come with a lot of risk, and most of us will never even be close to attaining that level in our careers. Yes, they deserve the big bucks. But also we need to know when to say when. Aside from maybe Jesus himself, no one's time should be considered that valuable in comparison to the people doing all the legwork. Then a point I hadn't considered when listening to the call in segment of the Diane Rehm Show on this topic. There are very skilled jobs that don't pay all that much either. For instance, a person who takes your 911 emergency calls makes $12 an hour. A woman who is a nurse called in and said they start at $18 an hour. These people are pretty educated and trained, and if the minimum wage suddenly becomes $15 an hour, the nurse may as well forgo schooling and opt to work the drive-thru. So maybe wages need to somehow increase for the entire workforce and not only the minimum wagers. A rising tide lifts all boats, right? I think a part of the solution, which I believe in time and time again is to involve the workforce in a profit sharing model. It will keep employees loyal and hardworking, because they get a direct benefit. It provides an opportunity for everyone to succeed together. It puts your money where your mouth is when spouting off that we are all a team, and everyone in the organization plays a valuable role. I would work my tail off a lot harder than I do now if I saw some financial reward out of it. I am not here to volunteer, after all. If employers would take this idea, they would see the pie grow for everyone instead of trying to get a bigger piece and giving you a smaller one. For now I think a compromise is for the best, because people won't just change all their businesses to an employee owned model because I sad so. Sad day, I know. lol. I think it might be fair to bump minimum wage up to around $10 an hour. Because really, taking someone's time and energy for $7.25 an hour just seems like exploitation, plain and simple. If you can't afford it, then I guess you can't afford employees. I agree. What is truly sad to me is that I know many people that have college degrees that are working minimum wage. You definitely made some great points. It is sad that these minimum wage jobs are being held by more and more people as a career because that's their only option. My problem with raising minimum wage has always been that if they raise minimum wage, prices will continue to be raised. Then, everyone else who works "higher paying" jobs doesn't get a raise, so it makes it harder for the middle class. Right now, the big thing in NC is how teachers haven't gotten a raise in years. I know I'm a teacher, so I may be biased but we have a skilled job and I think our job is very important yet I recently found out that I could be an assistant manager at Bojangles and make about $10,000 more per year!